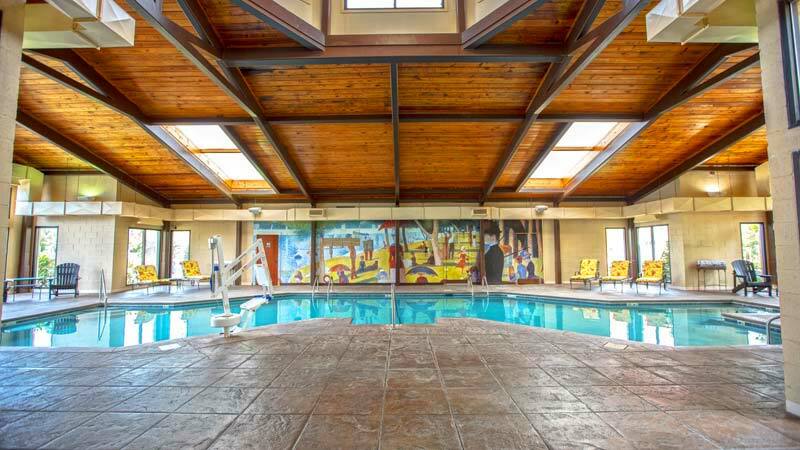 Music Road Resort Hotel, Inn & Conference Center is the resort destination of choice in East Tennessee for families, leisure and business travelers alike. 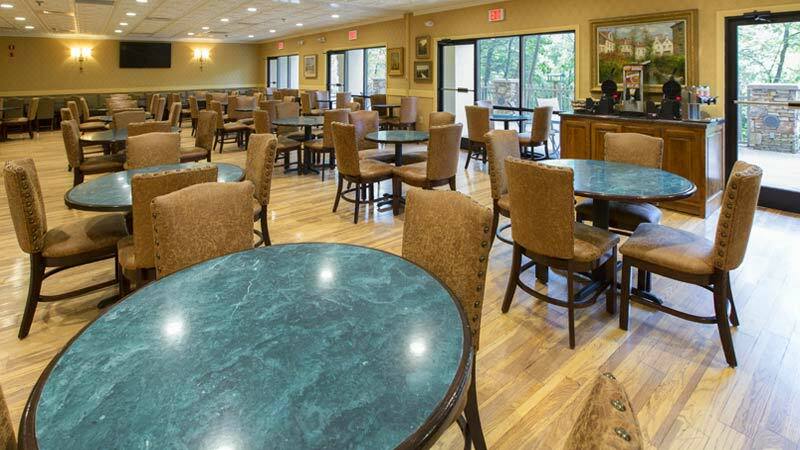 Guests enjoy our tradition of Southern hospitality, professional staff, peaceful surroundings and exciting resort amenities here in Pigeon Forge TN. 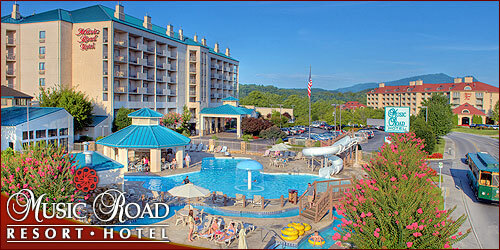 Recipient of the AAA Three Diamond Award®, Music Road Resort offers the perfect Pigeon Forge hotel experience with generous accommodations, breathtaking mountain views and personalized service, all minutes away from the best shows and attractions in Pigeon Forge. 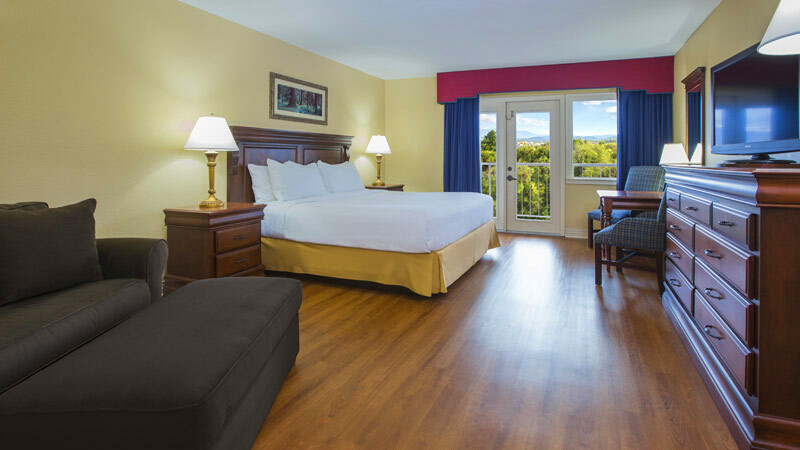 With a welcoming feel and contemporary amenities, our non-smoking accommodations at Music Road Resort provide the perfect balance between luxury and comfort. 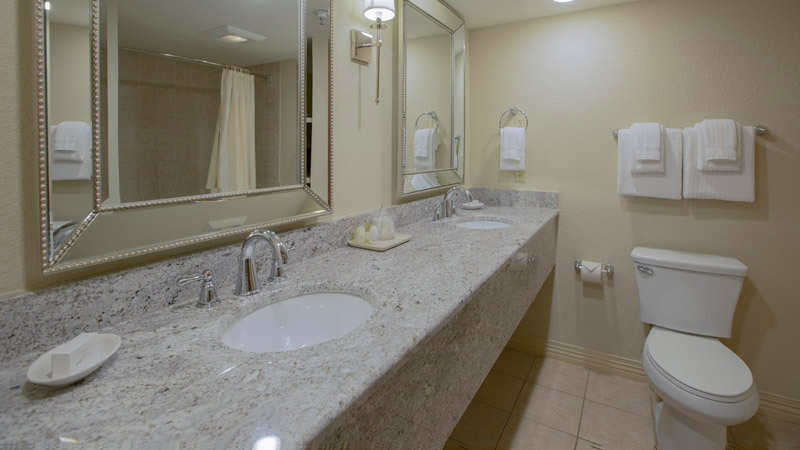 From our Standard Rooms to the Penthouse Suite, every guest room is spacious, inviting and comfortable. Overlooking the Little Pigeon River or Water Park, our Hotel accommodations boast breathtaking views from your private balcony. It’s the ideal opportunity to relax and enjoy the wonderful mountain air and setting sun – an intimate moment all to yourself or special time with family and friends. 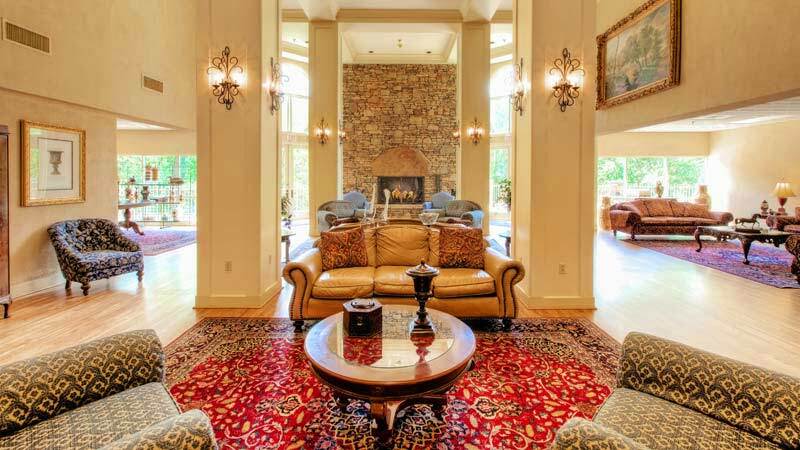 Indulge yourself with true luxury at the Music Road Resort Inn. 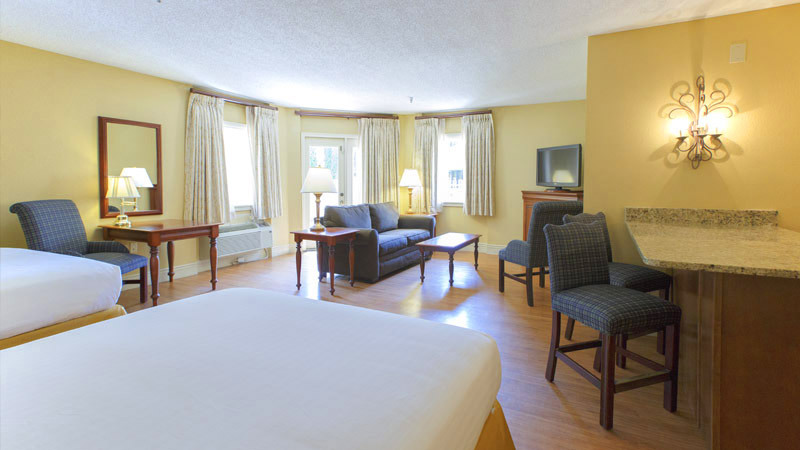 Guestrooms are beautifully stated with elegant décor and all the comforts of home. 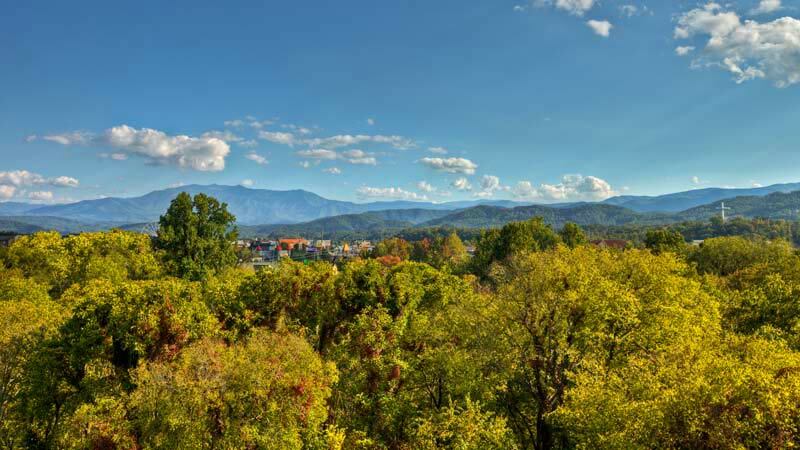 Inn accommodations offer scenic views of Pigeon Forge or the Inn Water Park from your own private balcony. Situated just off the main Parkway, the Music Road Resort isn’t only a hotel and inn resort, but also a perfect venue for when you’re planning a large conference, a series of small meetings or a beautiful, riverside wedding reception. 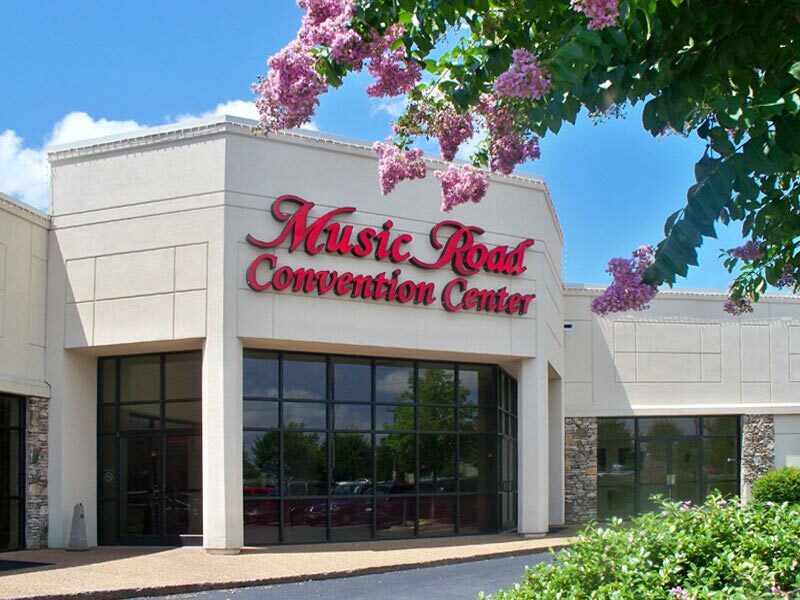 With over 14,000 square feet of versatile meeting space, its beautiful riverside scenery, and two large hotels, Music Road Convention Center can be transformed into the perfect event setting for almost any gathering. The ballroom can be subdivided into several separate function spaces, and is complemented by a stone patio for outdoor breakout sessions and receptions. Whether for meetings, weddings, a mountain vacation with the family or a romantic getaway weekend for two, Music Road Resort will accommodate your needs efficiently, graciously and completely. 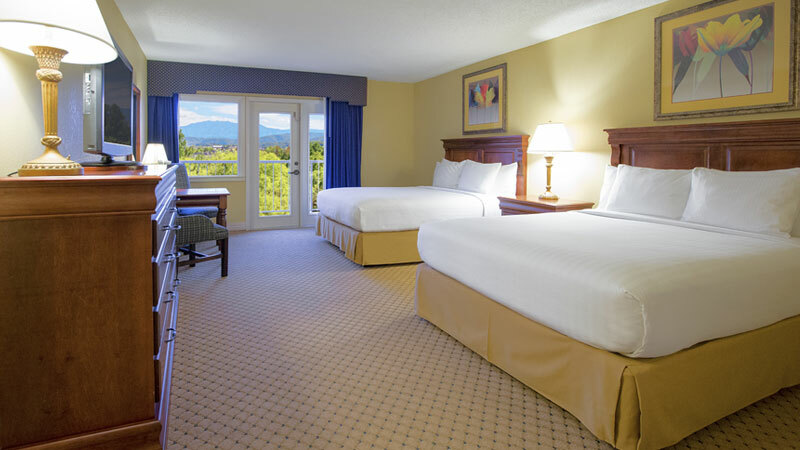 Music Road Resort invites you to experience the very best for yourself in style, elegance and comfort in the heart of Pigeon Forge. 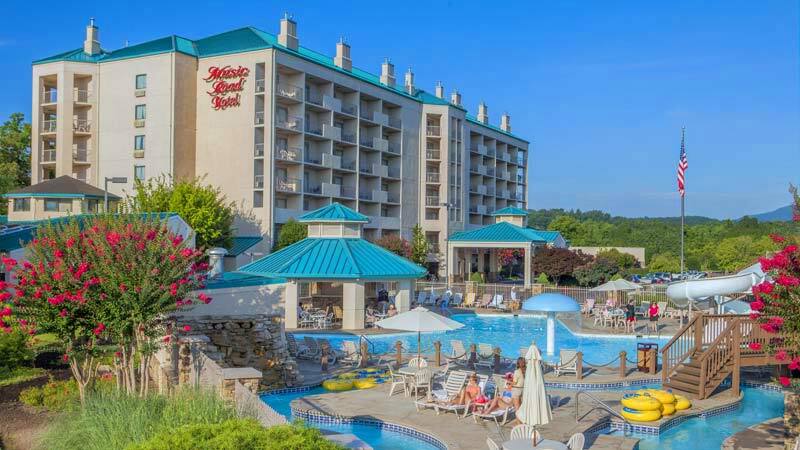 Make Music Road Resort your Smoky Mountain destination – it’s all waiting for you!